A look at where each of the seven people currently running sit on expanding, maintaining or reducing the city's cycling infrastructure. Bicycle lanes, once a dominant part of political debates in Vancouver, have largely receded into the background so far this election year. "It's been fairly consistent. We haven't heard a lot of discussion … about the bike lanes," said Mario Canseco, President at Research Co. 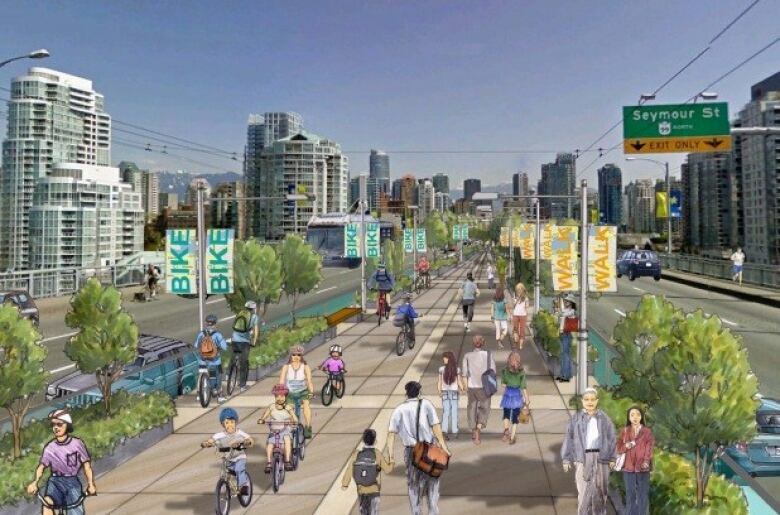 If Vancouver builds a bike lane and nobody seems to care, can it still be an election issue? In June, Canseco did an online survey among 400 adults in the City of Vancouver, finding 54 per cent supported the city's efforts to expand separated bike lanes in Vancouver, compared to 41 per cent who opposed them (five per cent were not sure). Those numbers were similar to other recent surveys done, but Canseco said the issue is of lower importance to voters than it has been in the past, despite the split opinion. "The most important issue is definitely housing, followed by transportation, economy and jobs, homelessness, poverty. Bike lanes doesn't really figure that much." We asked each of the seven candidates running for mayor whether they would expand, maintain, or reduce the city's bike lane infrastructure. Former Conservative MP Wai Young is the only candidate who has made bike lanes a main part of her platform, promising at her campaign launch to "free the roads" and stop a "radical, agenda-driven war on transportation." Young said she would remove the new bike lanes on the Cambie Street Bridge and in front of Vancouver General Hospital (part of the 10th Avenue Corridor), and would cancel a proposed lane through Kits Beach. In addition, Young said that if she was mayor, no new bike lanes would be built without one being removed elsewhere. In a poll done by Canseco earlier this month, Young had the support of eight per cent of voters. "There's definitely a possibility for a candidate to be the anti-bike lane candidate. That's Wai Young right now … but it's not an issue that's moving a lot of voters," Canseco said. Three other contenders didn't commit to expanding the city's bike lane network, but agreed the infrastructure created over the last decade by the Vision Vancouver government is here to stay. "The big issue is congestion … What is working and what is not? We need to look at what makes sense for the city and we'll do what we need to do to improve mobility for everyone," said NPA candidate Ken Sim. "Bike lanes will definitely be part of the solution, but they are just one part of the solution." Hector Bremner, who split from the NPA to found his Yes Vancouver party, said the city needs to invest in "smart technology to move people better." "People are both very passionately for and against [bike lanes], but folks that are not happy with them understand that they're there, and are part of a safe transportation network." 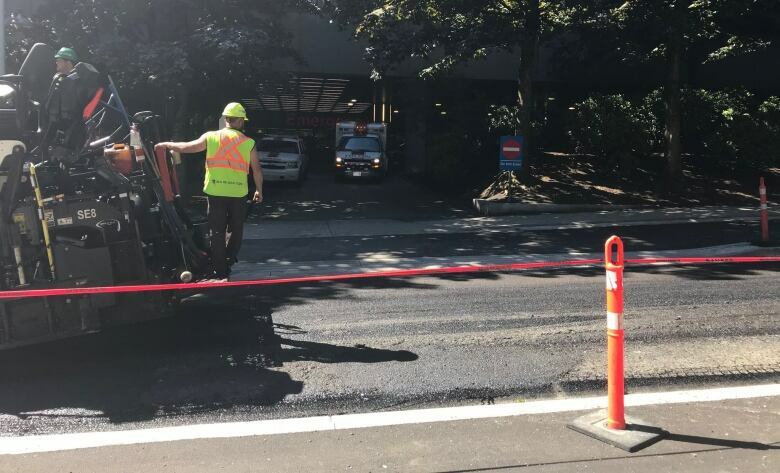 David Chen of ProVancouver said "spending money to remove infrastructure already put in and paid for by taxpayers is not responsible spending." But he noted that the newly installed bike lane next to VGH could be moved to a nearby street. "As a community, we prioritize those in pain and suffering. This bike lane movement would be justified as an expense in that endeavour," he wrote. The three candidates who have fought to be the choice for "progressive" voters in the city all said they would continue to implement the Transportation 2040 Plan, which includes a new greenway with a bike lane on the Granville Street Bridge, and new separated bike routes on Southwest Marine Drive and Commercial Drive. "The big moves have already been made. Current council has shown leadership creating a safer network, especially through the downtown," said Ian Campbell, who also said he is interested in pursuing a greenway in East Vancouver, too. "It represents one per cent of our roadways and it's also the fastest growing form of transportation in Vancouver," said independent candidate Shauna Sylvester. "To reduce road congestion we need to shift how we move in this city and for some, cycling is the cleanest, healthiest, fastest, easiest and less expensive option." Fellow independent candidate Kennedy Stewart also voiced support for the Transportation 2040 Plan.